one happy little crafter: Simply dotty! Hello, my lovely blog chums.....hope you've had a really enjoyable Easter weekend. Very much hope that the weather will improve now after such wet and windiness today. I had to start work at 6am this morning, and it was so bad at times that I actually thought that the wind was going to lift the roof away. I spotted, recently that there was a sale on at Di's Digi Designs and it seemed just rude not to treat myself to a couple, and today's card features one of my purchases. Thanks so much for joining us this week and Happy Easter. What a pretty card ! 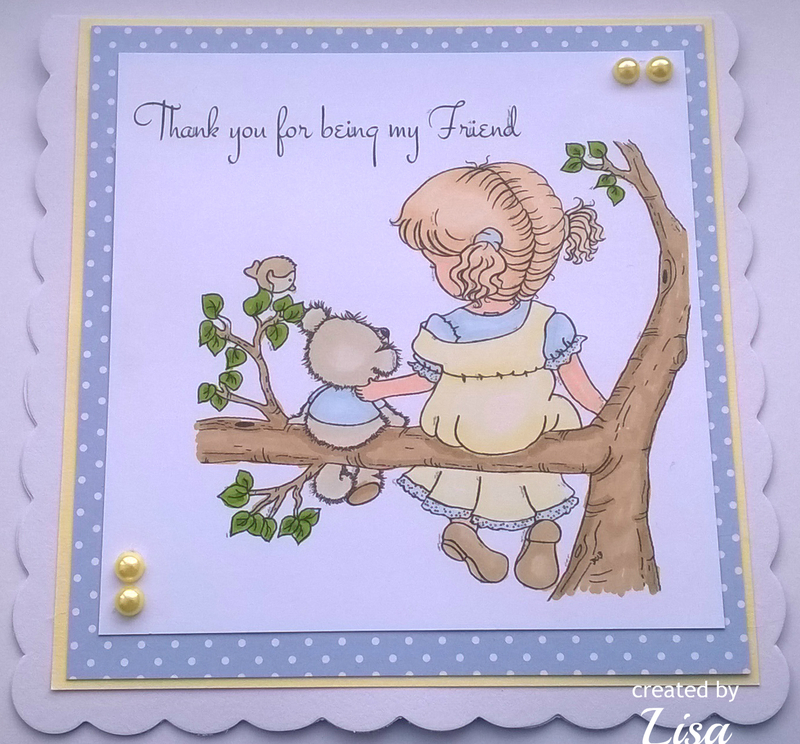 A sweet card in soft colours, Lisa - thanks for sharing with us at Less Is More! Absolutely delightful card beautiful colours. I HAD to add a digi to my basket too! Such a pretty card Lisa, such a sweet image and lovely soft colours. This is very pretty although ideally we would like to see a little more white space and fewer layers on submissions to our Clean and Simple challenges!